1-James Cubit was born in 1796 in County Antrim, Ireland, died in 1857 in Chudleigh, Tasmania at age 61, and was buried in Perth. James had a son: John. Convict ↑James Cubit born in County Antrim Ireland in 1796, was transported, convict number 16288, in 1820 per the Castle Forbes at the age of 24 years to Van Diemen’s Land. After his release, James worked as a stock-keeper, and was mentioned by Gov. Arthur's Land Commissioner, Roderic O'Connor in 1828 when he visited the Deloraine area.... he noted on 6 Mar1828…. "At about four miles distant on the opposite side of the Western River, Stocker, of the Derwent Hotel, has established himself on Crown Land of great extent and fine quality, and has a large herd of cattle. A free man, named Cubit who looks after them, has frequently been speared by the natives. He had received dangerous wounds a few days before we were there, the Natives telling him that they would have him yet." Cubit was at constant war with the blacks... he is said to have shot more blacks than any other man in the Colony, and in return received a number of spear wounds, none of them, unfortunately for the blacks, fatal. In September 1831, he was wounded 8 times before he could get back to his hut and gun, after going to the creek for a bucket of water. His later days were spent at Chudleigh, and he died at Brookhill in 1857, aged 61 years. 2-John Cubit was born on 24 Mar 1810 in Aghalee, Northern Ireland and died on 22 Oct 1874 in Donegall, Tasmania at age 64. John married Mary Chilcott, daughter of Charles Chilcott and Mary Strout, on 20 Jun 1845 in Launceston, Tasmania. Mary was born on 12 Aug 1827 in Tintagel, Cornwall, England and died on 26 Oct 1887 in Deloraine, Tasmania at age 60. On 7 August 1836 the ship Bolina from London under command of Captain Ewing arrived in Launceston with passengers including Mrs Cubit and son John Cubit. The arrival was reported in the Cornwall Chronicle Vol 2 Sat Aug 13 1836. In 1845, aged 31, he married Mary Chilcott, aged 18, the eldest daughter of Charles & Mary Chilcott, at the Wesleyan Chapel Longford. Mary had come out with her family as settlers in 1830. John and Mary's two eldest children were born at Charles' property, Annandale, Perth, then the family moved to Deloraine, and 12 more children were born there. They had 12 children: James, Arthur, Charles Henry, Isabella Ann, (No Given Name), Ellen Adelaide, Albert Nathaniel, Samual Fredrick, Unk, Nathaniel Dickey, Archibald Edward Charles and Ellis Silvina. 3-James Cubit was born on 9 Dec 1846 in Longford, Tasmania and died on 16 Oct 1898 in Deloraine, Tasmania at age 51. James married Ann Bryan, daughter of Silas Bryan and Emma Hawkins, on 22 Jun 1870 in Deloraine, Tasmania. Ann was born in 1852 in Evandale, Tasmania, was christened on 11 Aug 1852 in Evandale, Tasmania, died on 12 Apr 1927 in Tasmania at age 75, and was buried in 1927 in Chudleigh, Tasmania. They had 14 children: Edith Emma Eveline, Alexander Samual Vincent, Edgar Llewellan Harrold, Emily Louise Victoria, Leonard Osmond Victor, Melvina Annie Mabel, Mildred Annie, Myrtle Olive Ruby, Lorne Ivo Mervyn, Colin Stan Garfield, Allan Ervine Elton, Lloyd Arnold John, Myra Muriel Esma and Reginald Vero Roydon. 4-Edith Emma Eveline Cubit was born on 2 May 1871 in Deloraine, Tasmania. Edith married Henry Daniel Picket on 19 Dec 1894 in Deloraine, Tasmania. Henry was born about 1869 in Deloraine, Tasmania. They had two children: Hannah Annie and Grace Amelia. 5-Hannah Annie Picket was born on 4 Aug 1896 in Ulverstone, Tasmania. 5-Grace Amelia Picket was born on 28 Apr 1898 in Ulverstone, Tasmania. 4-Alexander Samual Vincent Cubit was born on 30 Mar 1875 in Deloraine, Tasmania, died on 1 Oct 1923 in Tasmania at age 48, and was buried in 1923 in Deloraine, Tasmania. Alexander married May. May was born about 1880. 4-Edgar Llewellan Harrold Cubit was born on 13 Jun 1877 in Deloraine, Tasmania. Edgar married Alma Belchambers on 4 Jan 1900 in St. Marks Church of England, Deloraine. They had one son: Redvers. 5-Redvers Cubit was born on 7 Mar 1900 in Chudleigh, Tasmania. Redvers married Thelma Beatrice Powell, daughter of Edward John Powell and Ruby Myrtle Gilbert, on 14 May 1923 in Holy Trinity Church, Hobart, Tasmania. Thelma was born on 2 Jul 1906 in 79 Argyle St. Hobart, Tasmania. 4-Emily Louise Victoria Cubit was born on 3 Jul 1879 in Deloraine, Tasmania and died on 19 Aug 1887 in Deloraine, Tasmania at age 8. 4-Leonard Osmond Victor Cubit was born on 2 Aug 1881 in Deloraine, Tasmania, died on 10 Aug 1967 in Deloraine, Tasmania at age 86, and was buried on 11 Aug 1967 in Launceston, Tasmania. Leonard married Mary Ellen. Mary was born about 1884 in Tasmania. They had one son: Reginald Joseph. 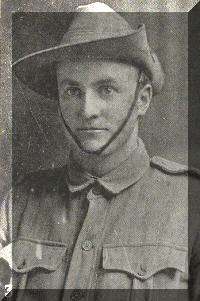 5-Reginald Joseph Cubit was born about 1908 in Tasmania and died on 6 Sep 1932 in Launceston, Tasmania aged about 24. 4-Melvina Annie Mabel Cubit was born on 22 Jul 1883 in Deloraine, Tasmania and died on 17 Aug 1883 in Deloraine, Tasmania. 4-Mildred Annie Cubit was born on 27 Jul 1884 in Deloraine, Tasmania. 4-Myrtle Olive Ruby Cubit was born on 10 Sep 1886 in Deloraine, Tasmania, died in 1958 in Tasmania at age 72, and was buried in 1958 in Deloraine, Tasmania. 4-Lorne Ivo Mervyn Cubit was born on 29 Jul 1888 in Deloraine, Tasmania. 4-Colin Stan Garfield Cubit† was born on 21 Apr 1890 in Deloraine, Tasmania. He served in the First World War and died of wounds in France on 6 Aug 1916. He was buried at Puchevillers British Cemetery, Puchevillers, Picardie, France. 4-Allan Ervine Elton Cubit was born on 29 Nov 1891 in Deloraine, Tasmania and died on 16 Sep 1892 in Deloraine, Tasmania. 4-Lloyd Arnold John Cubit was born on 12 Jul 1893 in Deloraine, Tasmania. 4-Myra Muriel Esma Cubit was born on 8 Oct 1894 in Deloraine, Tasmania. 4-Reginald Vero Roydon Cubit was born on 21 Jun 1898 in Caveside, Tasmania, died on 19 Dec 1975 at age 77, and was buried in 1975 in Mersey Vale Lawn Cemetery. Reginald married Doris Grace Lee, daughter of George Lee and Jane Ann Joannah Alice Appleby. Doris was born on 9 Nov 1900 in Mole Creek and died on 10 Dec 2000 in Devonport at age 100. They had three children: Jock Alexander, Dorothy and Winstone Churchill. 5-Jock Alexander Cubit was born on 26 Jun 1926. Jock married Lucille Belbin. Lucille was born on 1 Dec 1933. They had three children: Leanne Marie, Simon James and Karen Christine. 6-Leanne Marie Cubit was born on 19 Nov 1955. Leanne married Terry John Gracie. Terry was born on 18 Feb 1953. They had two children: Andrew Lee and Lauren Elizabeth. 7-Andrew Lee Gracie was born on 12 Apr 1982. 7-Lauren Elizabeth Gracie was born on 30 Jun 1984. 6-Simon James Cubit was born on 9 Oct 1958. Simon married Jocelyn Ann Miller. Jocelyn was born on 23 Mar 1960. 6-Karen Christine Cubit was born on 23 Dec 1959. Karen married Gregory Francis Febey. Gregory was born on 9 Jun 1958. They had two children: Katie Louise and Ryan Alexander. 7-Katie Louise Febey was born on 17 Aug 1980. 7-Ryan Alexander Febey was born on 25 May 1982. 5-Dorothy Cubit was born on 16 Feb 1930. Dorothy married Cyril Robert Skinn. Cyril was born on 11 Apr 1932. They had two children: Brian Robert and Graeme Lindsay. 6-Brian Robert Skinn was born on 13 Nov 1954. Brian married Carol Miller. Carol was born on 6 Apr 1957. They had three children: Laurissa Jane, Belinda Lee and Brenton John. 7-Laurissa Jane Skinn was born on 4 May 1981. 7-Belinda Lee Skinn was born on 4 Mar 1983. 7-Brenton John Skinn was born on 1 Aug 1986. 6-Graeme Lindsay Skinn was born on 22 Apr 1956. Graeme married Helen Honers. Helen was born on 18 Jun 1960. They had two children: Joshua Graeme and Jenna Lee. 7-Joshua Graeme Skinn was born on 5 May 1984. 7-Jenna Lee Skinn was born on 13 Nov 1985. Dorothy next married Albert Stevens. Albert was born on 29 Jun 1928 and died on 29 Jul 1985 at age 57. They had one daughter: Trudy Ann. 6-Trudy Ann Stevens was born on 2 Jun 1966. 5-Winstone Churchill Cubit was born on 3 Sep 1940. Winstone married Helen Emma Joan Martin. Helen was born on 7 Mar 1944. They had two children: Direne Helen and Linda. 6-Direne Helen Cubit was born on 25 Sep 1964. Direne married Kelvin Upston. Kelvin was born on 21 Apr 1961. They had two children: Joshua Lee and Adam John. 7-Joshua Lee Upston was born on 19 Mar 1986. 7-Adam John Upston was born on 11 Nov 1988. 6-Linda Cubit was born on 26 Mar 1967. 3-Arthur Cubit was born on 1 Jun 1850 in Westbury, Tasmania. Arthur married Elizabeth Cameron Hume in 1878 in Victoria. Elizabeth was born about 1852 in Glasgow, Scotland. 3-Charles Henry Cubit was born on 2 Nov 1851 in Westbury, Tasmania. 3-Isabella Ann Cubit was born on 6 Mar 1853 in Westbury, Tasmania. Isabella married Richard Cornelius Giles Peters on 18 May 1886 in Deloraine, Tasmania. Richard was born on 19 Mar 1866 in Leven, Port Sorrell, Tasmania. They had two children: Walter Richard and Charles Richard Giles. 4-Walter Richard Peters was born on 10 Oct 1886 in Deloraine, Tasmania. 4-Charles Richard Giles Peters was born on 7 Dec 1889 in Deloraine, Tasmania. 3-Cubit was born on 20 Dec 1854 in Westbury, Tasmania. 3-Ellen Adelaide Cubit was born on 5 Jun 1856 in Westbury, Tasmania. 3-Albert Nathaniel Cubit was born on 5 Jul 1857 in Deloraine, Tasmania. 3-Samual Fredrick Cubit was born on 5 Jan 1859 in Deloraine, Tasmania. Samual married Lily Harriett Grace Parker in 1907 in Australia. Lily was born on 3 Nov 1881 in Maffra Victoria and died on 27 Dec 1963 in Kew, Victoria at age 82. 3-Unk Cubit was born on 7 Jun 1861 in Deloraine, Tasmania. 3-Nathaniel Dickey Cubit was born on 28 Aug 1862 in Deloraine, Tasmania and died on 11 Mar 1915 in Launceston, Tasmania at age 52. Nathaniel married Mary Grace Bligh on 13 May 1885 in Deloraine, Tasmania. Mary was born in 1867 in Tasmania. They had nine children: Alice Mary, Ethel, Amy, Gertie, Myrtle, Nathaniel, Ivol, Ivy and Norman Hedley. 4-Alice Mary Cubit was born on 30 Jul 1886 in Deloraine, Tasmania. 4-Ethel Cubit was born on 10 Aug 1887 in Deloraine, Tasmania. 4-Amy Cubit was born on 7 Sep 1888 in Deloraine, Tasmania. 4-Gertie Cubit was born on 22 Jan 1890 in Deloraine, Tasmania. Gertie married William Henry Chilcott, son of William Chilcott and Rebecca Mary Thomas, in 1912 in Victoria. 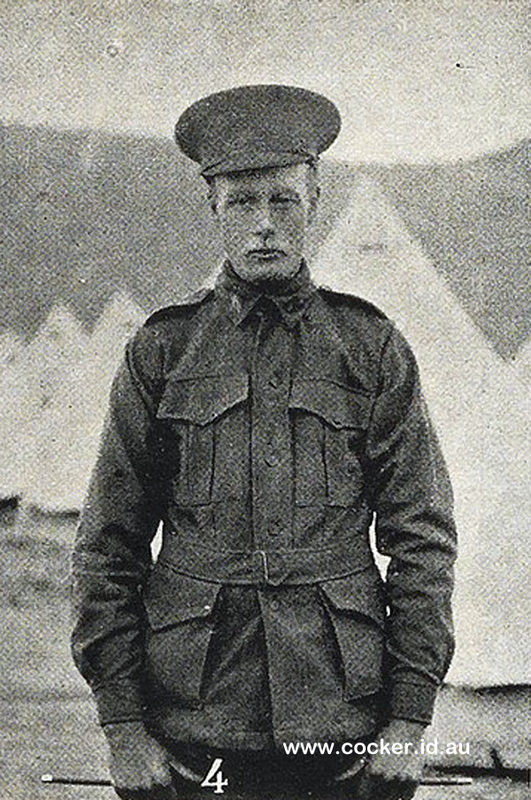 William was born on 1 Sep 1887 in Longford, Tasmania. They had three children: Vera May, Gertrude Mavis and Colin Bruce. 5-Vera May Chilcott was born in 1914 in Shepparton, Victoria. Vera married William Arthur Sankey on 6 May 1939 in Ulverstone, Tasmania. William was born in 1889 in Northdown. 5-Gertrude Mavis Chilcott was born in Shepparton, Victoria and died in 1918. 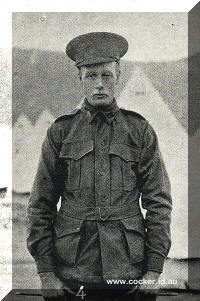 5-Colin Bruce Chilcott was born in 1922 and died in 1923 in Warragul, Victoria at age 1. 4-Myrtle Cubit was born on 16 Sep 1891 in Deloraine, Tasmania. 4-Ivol Cubit was born on 1 Jan 1894 in Deloraine, Tasmania and died on 1 Jan 1894 in Deloraine, Tasmania. 4-Ivy Cubit was born on 18 Sep 1896 in Deloraine, Tasmania. 4-Norman Hedley Cubit was born on 18 Oct 1898 in Deloraine, Tasmania. 3-Archibald Edward Charles Cubit was born on 7 Jun 1864 in Deloraine, Tasmania and died on 22 Oct 1896 in Deloraine, Tasmania at age 32. Archibald married Caroline Elizabeth Carr on 6 Oct 1886 in Deloraine, Tasmania. Caroline was born on 8 Aug 1864 in Westbury, Tasmania and died on 17 Jul 1941 at age 76. They had three children: Joseph Edward Carr, Arthur John and Viney. 4-Joseph Edward Carr Cubit† was born on 6 Apr 1887. 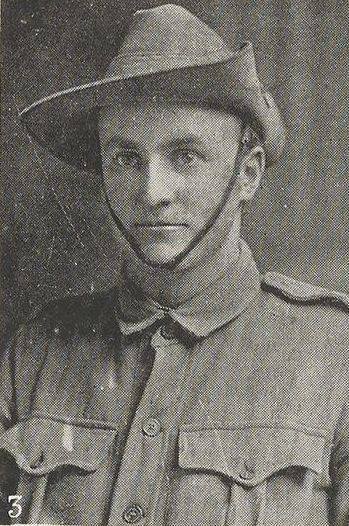 He served in the First World War and died on 23 Jul 1916 at Pozieres, Somme Sector, France. He has no known grave. 4-Arthur John Cubit was born on 5 May 1889. 4-Viney Cubit was born on 19 Feb 1896. 3-Ellis Silvina Cubit was born on 22 Jan 1866 in Deloraine, Tasmania.